Brooke literally grew up in the real estate business—it’s in her blood. 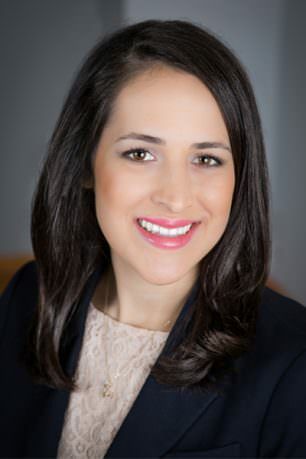 Brooke was born and raised in Maryland, and attended college in Virginia where she obtained her Business Administration degree at the James Madison University (JMU) College of Business. She joined the family real estate business shortly after graduation. Brooke has a true passion for helping clients achieve their real estate dreams. She was nominated by the Howard County Association of Realtors for the ‘Rookie of the Year’ award. She has quickly grown to be a well-respected Realtor in Maryland and gives back to the community by participating in local outreach programs that provide housing opportunities for those in need. Brooke is an Accredited Buyer Representative (ABR ®). This is a prestigious designation reserved for those agents that have completed extensive higher education training – and are therefore well suited to represent their clients in even the most challenging of real estate transactions. Brooke is also a member of the National, Maryland and Howard County Association of Realtors. Brooke’s clients rave about her exemplary service. She prides herself on her trustworthiness, communication skills and dependability. Brooke enjoys working with first time home buyers as well as experienced investors. While she is not working on her family’s real estate business, you can find Brooke relaxing with friends and family, cooking and jogging around her neighborhood.